A flexible modern dining table with independent extensions at each end of the table. The frame is made from anodized aluminium with a silver or black finish, or lacquered matt white. 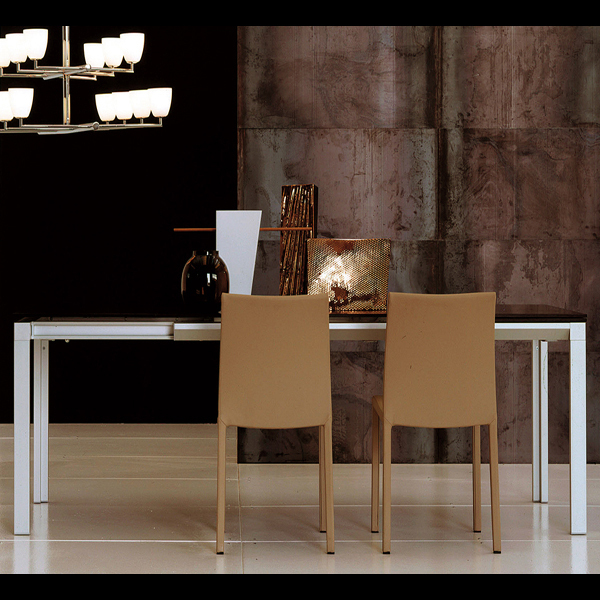 The table top and extensions are available in white or black glass (regular or acid-etched). Acid-etched glass has a textured surface.